Sadly we are getting toward the end of the season although the weather certainly suggests otherwise. There are still some great events coming up this week & next! September 8, 5-7pm: Seeds of Hope 10 year anniversary celebration! Click HERE to purchase tickets. 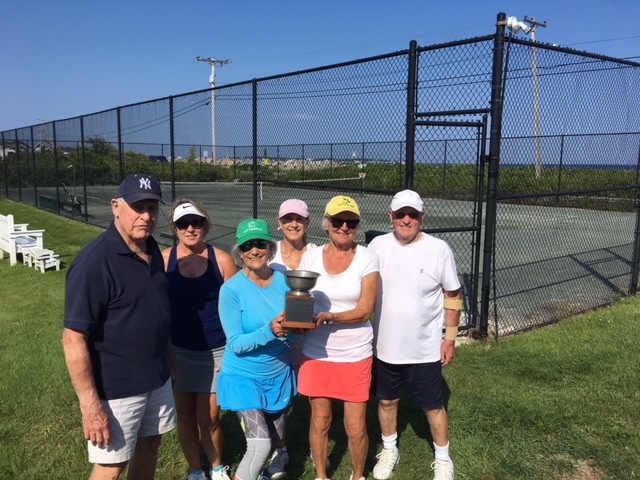 Congratulations to Dot Starkweather and Jean Whitehurst for winning the legendary Pewter Bowl at the annual tennis tournament this past Sunday! Although the turnout was disappointing, the competition was intense. 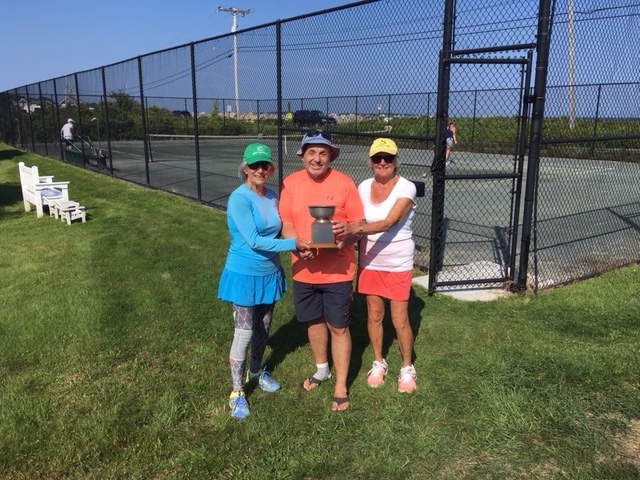 Hopefully next year will bring a greater show of support from tennis members. Jean Whitehurst, Howie Salend, Dot Starkweather. Howie and Jean (again!) were 2017 champs.